Find your inner ballerina! 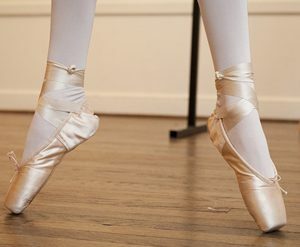 If you studied ballet as a child or dreamt of being a ballerina, this class is your dream come true. Basic barre, center floor, progressions and choreography to music of the classics: Swan Lake, The Nutcracker, Jewels, and more. Wear comfortable clothing or dance wear, ballet slippers (dance shoes) or soft supple shoes. No dance experience required.